Monday UPDATE: There's just one thing you need to know about this past weekend at the box office: Brad Pitt bombed. Scoring an unheard of 'F' from Cinemascore (audiences' grade), Killing Them Softly earned a woefully sluggish $7M on 2,400 screens. World War Z can't come soon enough for Mr. Jolie. While the guy to your left has zero shot at winning the weekend, there's no way in (censored) I'm posting a picture of the film that should walk away with the title. As was stated last week, no additional pictures of anything Twilight related will ever appear on this blog henceforth. 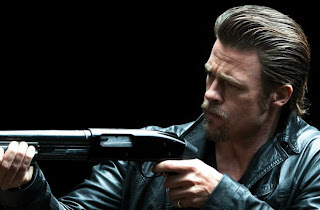 And it's not like it matters anyway, Killing Them Softly is the lone newcomer to a plate of cinematic leftovers that will be picked over by those not out shopping their savings away ahead of the holidays. The Twilight Saga: Breaking Dawn Part 2 $19M - Bella and her vampire buddies have banked $600M worldwide as the blood begins to run dry. Skyfall $19M - The biggest Bond ever continues to drill the bullseye as it encroaches $1B across the globe – $800M and counting. Lincoln $15M - Emerging as the Oscar frontrunner though I'm telling you now, don't be shocked if Les Miserables steals it. The Tom Hooper stage-to-screen adaptation redefines epic. Review soon. Rise of the Guardians $13.5M - Bombed opening weekend in comparision to other recent CGI animation flicks. Wreck-It Ralph's staying power not helping out. Life of Pi $13M - Decent start for Ang Lee's visual masterpiece but word-of-mouth isn't nearly as strong as Fox would like; filmgoers finding it a tad less thrilling than its trailer makes it out to be. 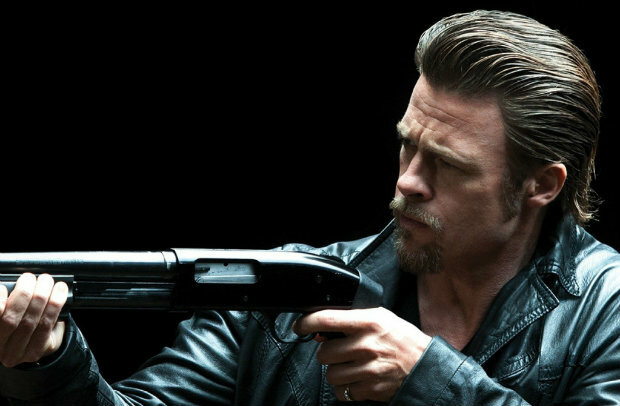 Killing Them Softly $11M - Brad Pitt is hoping this go around with director Andrew Dominik goes slightly better than their last. The Assassination of Jesse James by the Coward Robert Ford totaled a paltry $3.9M in 2007. If you choose to go, bring your patience – you'll need it.